Sanlorenzo's much-anticipated 42-metre 460Exp – the yard's first steel explorer yacht – has been launched and is set to make her public debut at the Monaco Yacht Show in September. With much of the superstructure nudged forward, the Francesco Paszkowski-designed 460Exp (so called because she is 460 gross tons) has a purposeful look on the water, and had been created for an owner who wants to see the world. But this isn’t just a yacht that works in extreme places – creature comforts and the guest experience have not been forgotten about. The aft deck boasts a heated infinity pool with an artificial current, while the beach club area below has a fold-out door that creates a terrace over the sea – the spaces function as one continuous guest area. 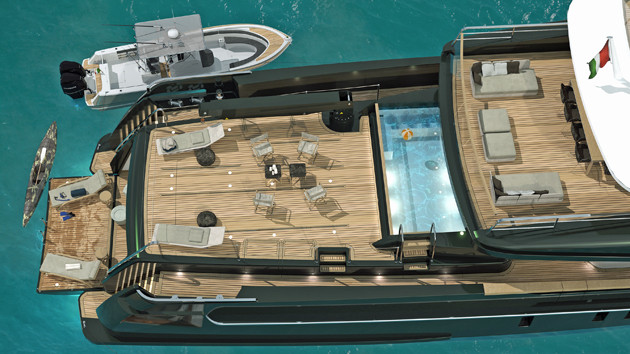 In cruising mode, the open main deck aft can be used to store a tender (up to ten metres) along with a sailing dinghy and a host of water toys. 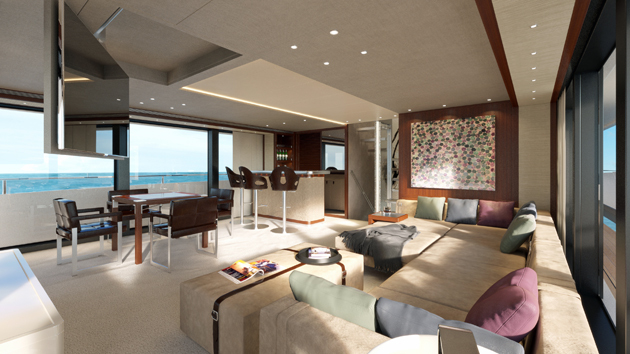 There are five guest suites below and an owner’s suite forward on the main deck. The interior includes a fitness room. The yacht has a cruising range of 4,000 nautical miles at 11 knots.